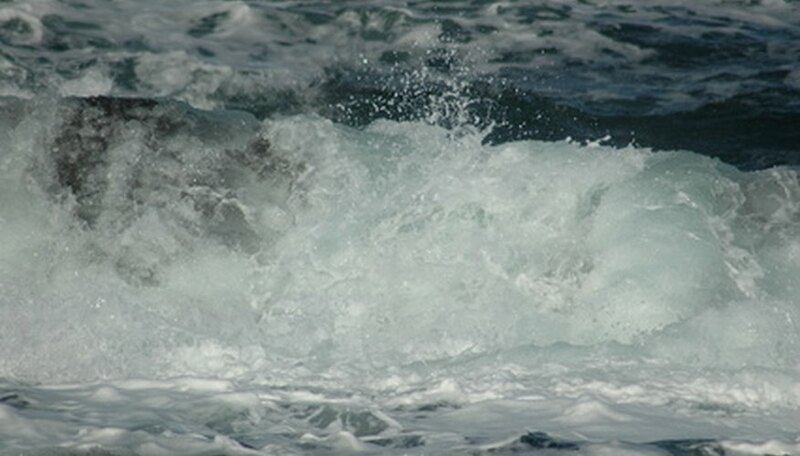 Ocean currents have a significant impact on weather. The greatest currents are well-established flows set in motion by the earth’s rotation and winds, which take the form of massive rotating currents north and south of the Equator in the northern and southern hemispheres, and an east-flowing current in the Southern Ocean. One of the most important ways in which these ocean currents affect climate is their conveyance of heat and cold across great distances. In general, the ocean affects landward temperatures by moderating them: Such a huge body of water warms and cools far less rapidly than terrestrial environments, so coastal areas often see lower temperatures in summer and warmer ones in winter than places farther inland. But the great ocean currents of the world can have additional effects. Currents from equatorial areas may transport balmy air far north. The Gulf Stream, for example, which originates in the Gulf of Mexico, permits coral reef formation off Florida and Bermuda – farther north than the normal tropical zone of reef development – and warms northwestern Europe beyond, say, the portion of North America at the same latitude. Indeed, evidence suggests that a reduced Gulf Stream flow may have helped trigger the so-called Little Ice Age of northwestern Europe from the 13th to the 19th centuries. During this period temperatures were persistently reduced, resulting in longer winters, a decreased growing season, increasing mountain glaciers and other major effects. Clashing air temperatures induced by the wide-traveling ocean currents impact cloud cover and precipitation. There are several great rotating currents in the world’s oceans, which have westward-flowing waters at the equator that shift poleward in conveyer-belt fashion to come around again. Where they skirt continents, these gyres, as they are called, can significantly affect local weather. For example, southwesterly winds flowing onshore in southwestern Africa are cooled by the Benguela Current, the northward arm of the South Atlantic Gyre. This produces persistent fog over the Namib Desert, providing critical moisture to the environment and also posing a navigational hazard, as the wrecks of Namibia’s Skeleton Coast attest. 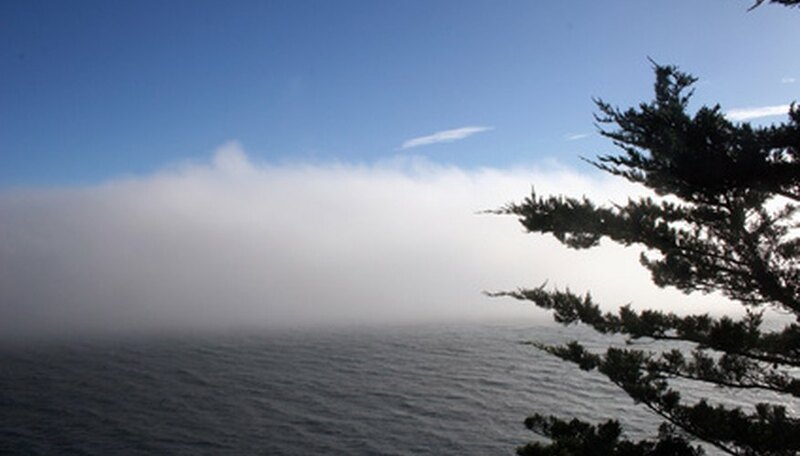 Fog also results at the boundaries of the warm Gulf Stream, flowing northeastward, and the cold southward Labrador Current in the North Atlantic. Warmed air off the Gulf Stream cools as it drifts over the Labrador, condensing. As in the Namib, this regular fog – together with icebergs shed from Greenland, chronic to that stretch of ocean – make for sometimes sinister seafaring conditions. Warming temperatures transported by ocean currents can promote atmospheric instability and the potential for precipitation and storms. This is the case for air masses over the western boundary currents of the North Pacific and North Atlantic gyres, the Kuroshio and Gulf Stream, respectively. Shaw, Ethan. "How Do Ocean Currents Affect Weather?" Sciencing, https://sciencing.com/do-ocean-currents-affect-weather-6321844.html. 17 September 2018.